Tropical Rarotonga. If you’re from New Zealand you probably already have a vision of this island paradise with its white sandy beaches, and water so crystal clear you have to wonder if it is there until a gentle wave brushes up against your toes. If you’re from North America, you may be about to discover a new utopia. It’s not just a tropical beach, as we discovered. There are plenty of other things to do in Rarotonga. Of course, the beautiful white sand beaches of Rarotonga are not to be missed. One of the Cook Islands, there is no question Rarotonga’s top industry is tourism. I think most visitors come here to relax at the beach, snorkel in pristine lagoons, and slow down to island time. However, there is more to this tiny island than just the beach. 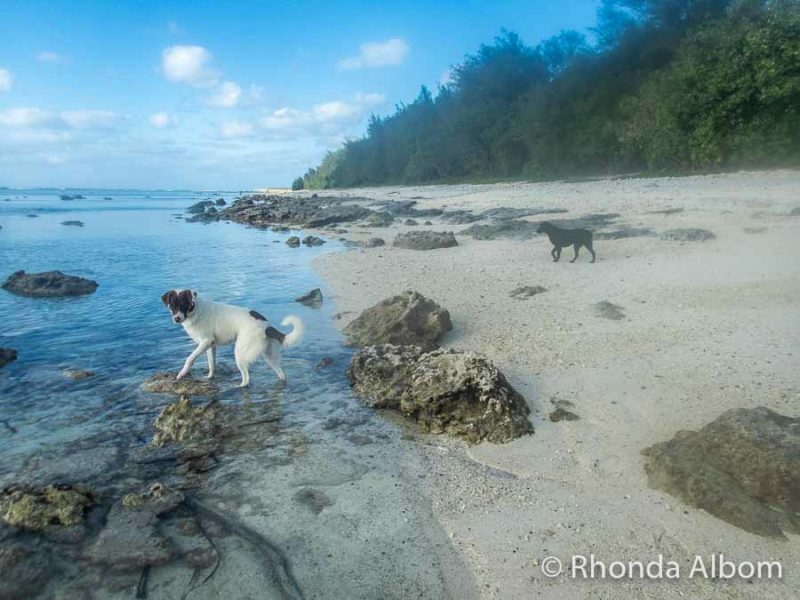 In fact, we found plenty of things to do in Rarotonga. 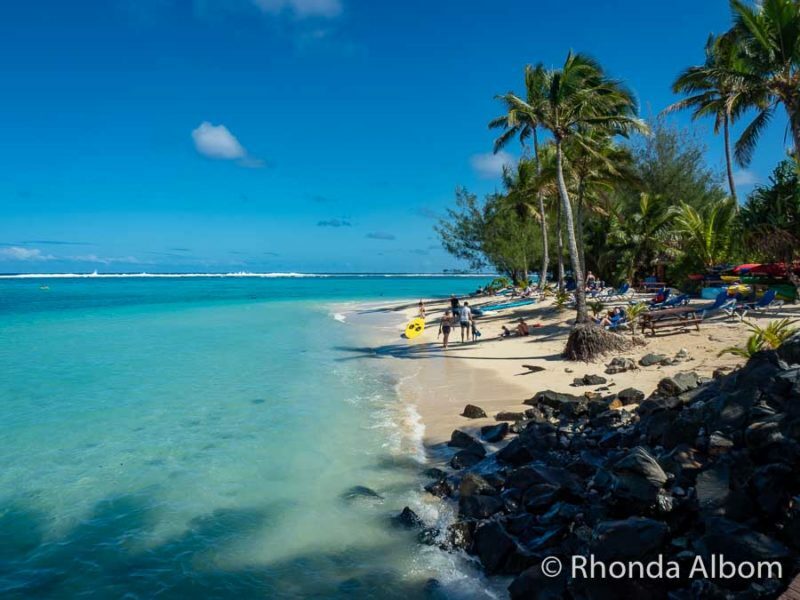 8 What will top your list of things to do in Rarotonga? Rarotonga is the largest of the Cook Islands which are located in the southern Pacific Ocean about halfway between Hawaii and New Zealand. Best of all, Rarotonga is offered as a stopover on Air New Zealand when flying between Los Angeles (USA) and Auckland (New Zealand), which means — for no additional airfare — you can tack on a bit of tropical paradise. We recently spent a week on Rarotonga, and once again discovered that resort life is not really our thing. We are not good at sitting around a pool, reading a book on the beach, or basking in the sun. However, that didn’t stop us from having fun. We loved the island, especially the highlights below. As much as possible, we like to get off the beaten path and learn about daily life when we travel. We did this in Rarotonga with a Storytellers Eco-Cycle tour. Our three-hour tour took us to a vanilla plantation; to feed pigs; into fields to meet locals picking taro in a swamp; onto local farms to learn about and even sample a few crops; and even to a marae. At the beginning of our tour — after we were all fitted for the right bicycle and helmet and had a safety briefing — we were asked what we would like to see. Someone in our group knew to ask for a marae, and it was a fascinating highlight that I would recommend asking for on a tour. Honestly, I will be the first to admit that I was a bit intimidated by the idea of a bicycle as I hadn’t been on one for almost 20 years. It turned out to be easy and natural. Now I know exactly what they mean when they say, ‘it’s like riding a bike’; it came right back to me. We opted for the Discover Tour, the shortest and easiest of the Eco-Cycle adventures offered by Storytellers. As promised, Storytellers took us off the beaten path, riding a bit and then pausing for fascinating stories, legends or to observe cultural traditions. Our Avanti bicycles were good quality, helmets were provided, and there was even a place for our water bottles. And we ended with a local lunch. Pa is a healer known worldwide. He is knowledgeable, genuine, and engaging. The tour is more of natural medicine talk than a walk. Pa shares from the heart and customizes each Nature Walk to its participants. Ours began with a visit to a vanilla bean plantation, but most of the experience takes place on his own property where he grows everything except marijuana (he applied but was turned down as it’s not legal on the island). For me, he healed an itchy spot on my back (with a very hot chilli) that has been annoying me for over a year. He also gathered, husked, and squeezed cream from the flesh of a coconut directly into my coffee. The walk is followed by a delicious lunch prepared by his wife. It’s a low energy activity that we both found captivating. 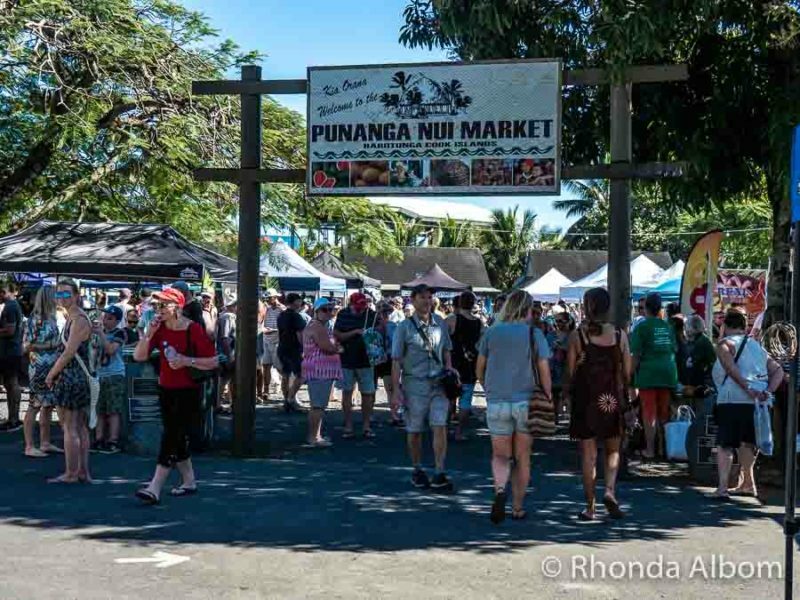 The Punanga Nui Market is the place to go on a Saturday morning. Buzzing with energy, tropical fruits, crafts, and other delicacies, it’s a market best visited with an early start. Locals come for the fresh produce, while tourists enjoy tropical fruit smoothies (mine was mango based), crafts, and other Polynesian delicacies like fresh bread, coffee, pork rolls, or sugar-free coconut candy. Entrance gate to Punanga Nui Market, the place to be in Rarotonga on a Saturday morning. There is local entertainment, so it’s well worth grabbing a seat (in the shade if you can find one) and enjoying. 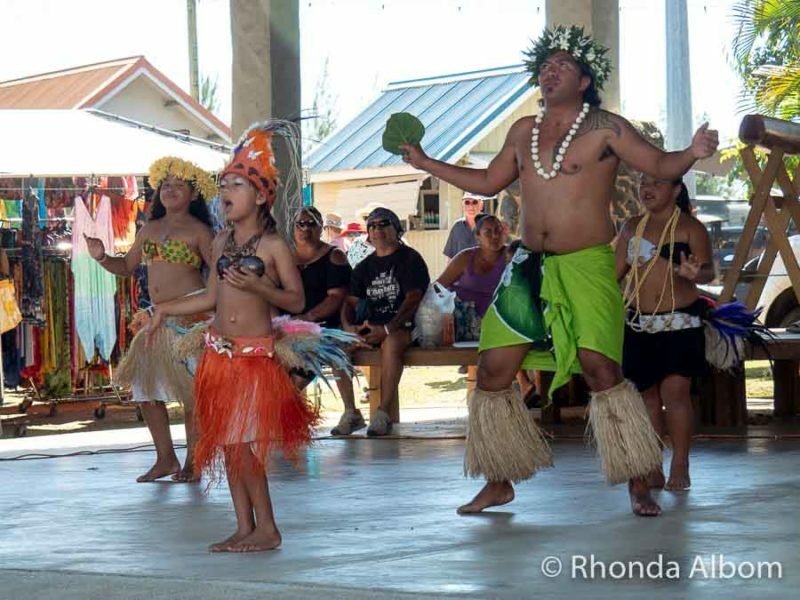 Children perform on stage at the Punanga Nui Market in Avarua, Rarotonga’s capital city. For me, the highlight of the market was meeting Fiona. 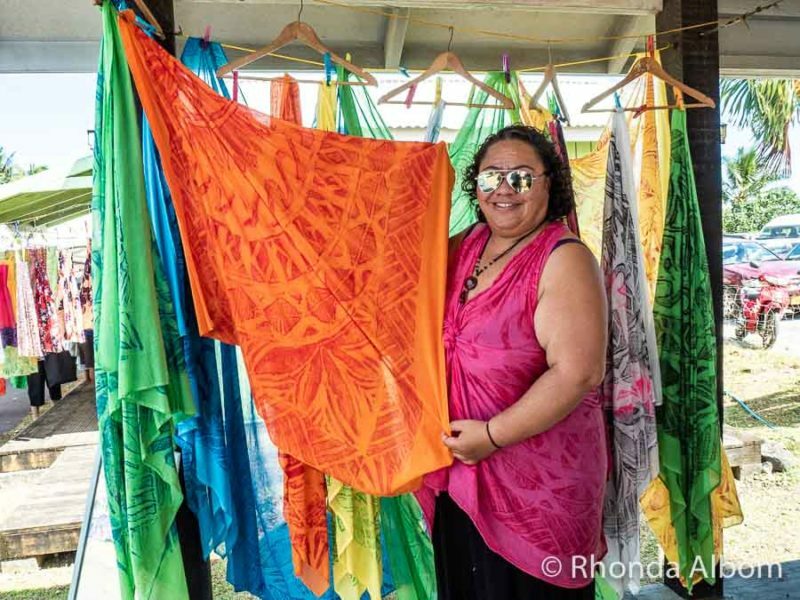 Using her own design, she created a template and hand paints meaningful Pareu (sarongs). A meaningful creation based around the sun (represents life) and the flowers to symbolise the happiness of the Rarotongan people. Emanating outward, the images represent the journey as people travel around the world, followed by the outer rim, a Rarotonga pattern reminding locals that they always bring a part of themselves wherever they travel. 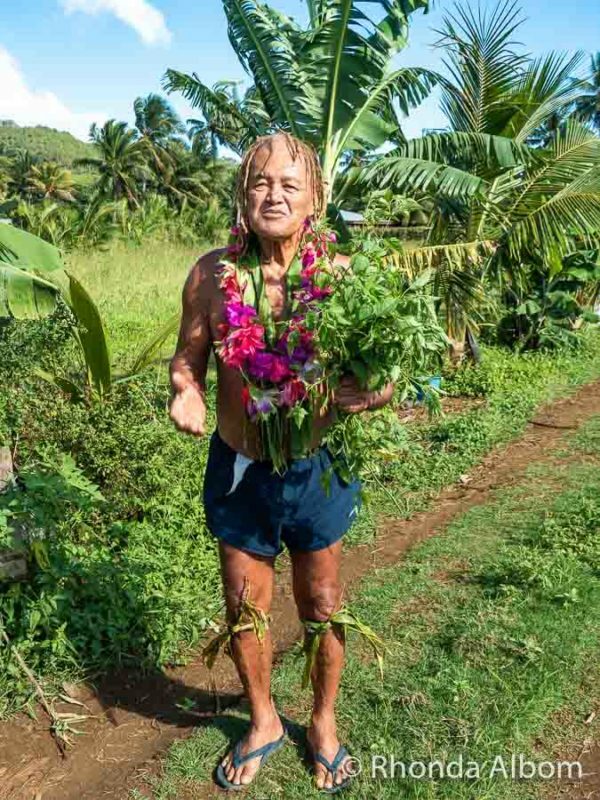 The seven-acre, organic Mairie Nui Gardens offered fragrant, tropical surprises around every corner. 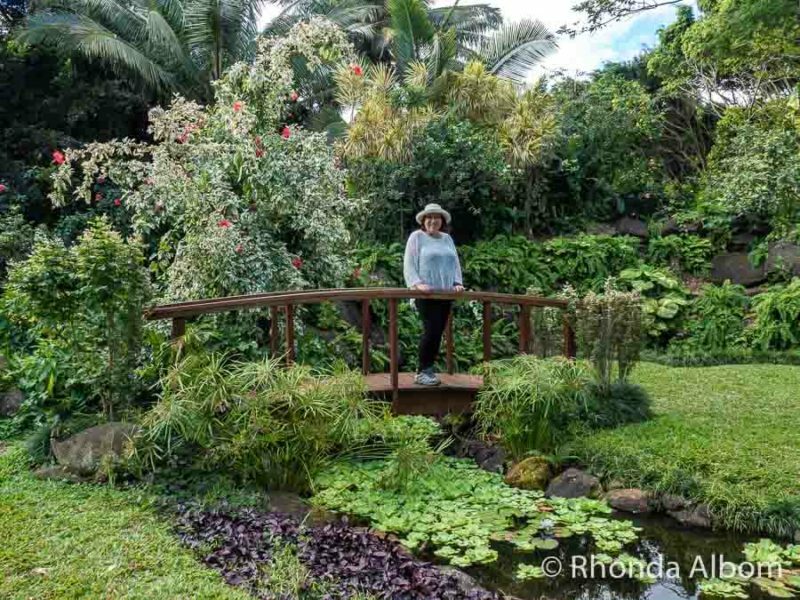 From wild ginger to lily-topped ponds, the vivid flowers and interesting tropical plant life held our interest. Entry is by donation in an honesty box. There is also a cafe inside the gardens serving light meals and coffee. Snorkelling off of Titikaveka Beach was like swimming in an aquarium. If you prefer things a bit more organized, check out one of these options. 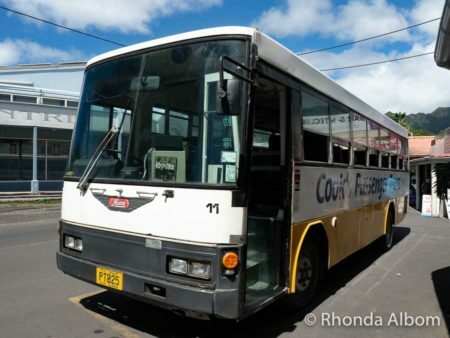 If you want a quick, inexpensive visual tour of the island, hop on a bus and you will discover many things to do in Rarotonga. There are two busses, one going in each direction, and they circumnavigate the island all day, leaving Avarua clockwise on the hour and anticlockwise on the half hour. You can purchase a single ride, return ride, all day pass, or 10-ride ticket. I love watching the sun rise and set over the ocean. As we stayed on the southeast corner of the island, we saw the sunrise from our resort suite. Our favourite sunset was seen from the Rarotongan Resort. Our favourite sunset was seen from the Rarotongan Beach Resort and Spa. From July to October, whales and calves can be seen breaching and in the sea of the north and west sides of the island. Twice we arrived within 20 minutes of others spotting whales, but luck wasn’t with us this trip. Perhaps next time. Just offshore from Avarua, the tiny capital city of the Cook Islands sits the rusted wreck of the Matai, which has been there since it sank in 1916. 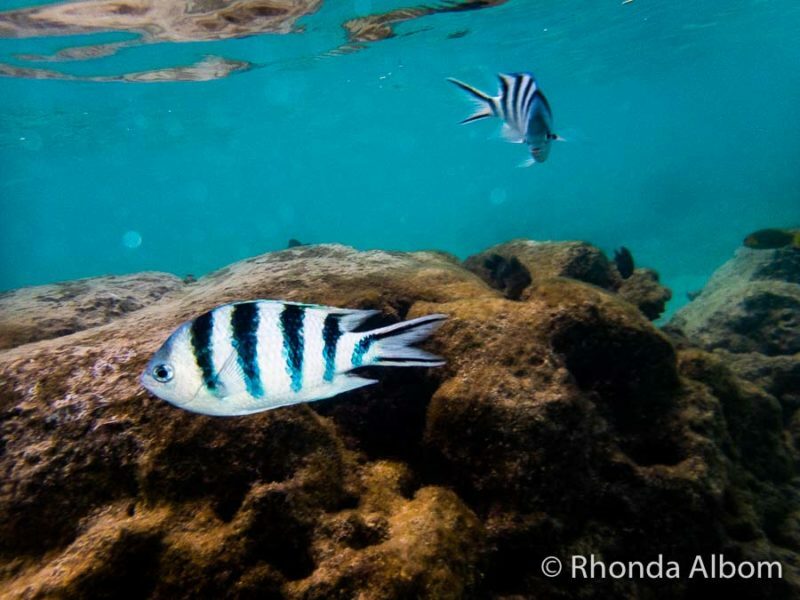 It’s a popular spot for snorkelling depending on ocean conditions. The wreck of the Matai sits in the background as an outrigger canoe sails by (seen from Trader Jacks restaurant). There are three museums on the island. 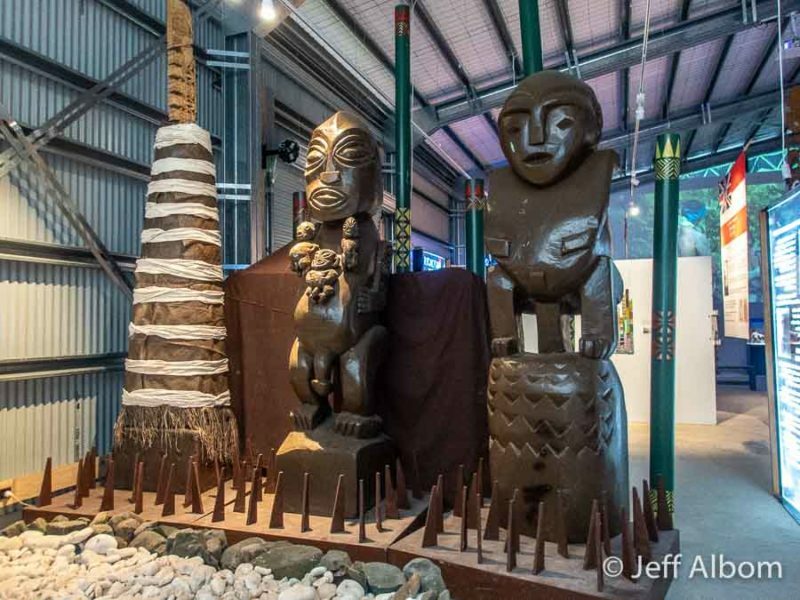 The newest, Te Ara – The Cook Islands Museum of Cultural Enterprise, is in Muri Beach and tells the history of the island including migration here. It’s a small museum that took us less than an hour to go through. The original Cook Islands Museum and Library Society is open 9 am – 1 pm (Monday-Saturday) and 4pm-7pm on Tuesdays. However, behind it is an interesting, always available vaka (Polynesian canoe) display. We saved a visit to the National Museum for our final day, and, to our surprise, it was closed for a staff meeting. Called Para O Tane Palace or Palace of Makea, this building seemed almost out of place. One room was open, so we wandered in. The best way to learn about the culture is from a local. We really appreciated the storyteller that was with us on the bicycle tour, as well as Pa (Nature Walk). If you enjoy cultural shows and traditional dancing, there are different options depending on which night of the week you want to go. Also, there is a progressive dinner option on Sunday or Thursday nights that takes participants into three homes for a meal – entree, main, and dessert. 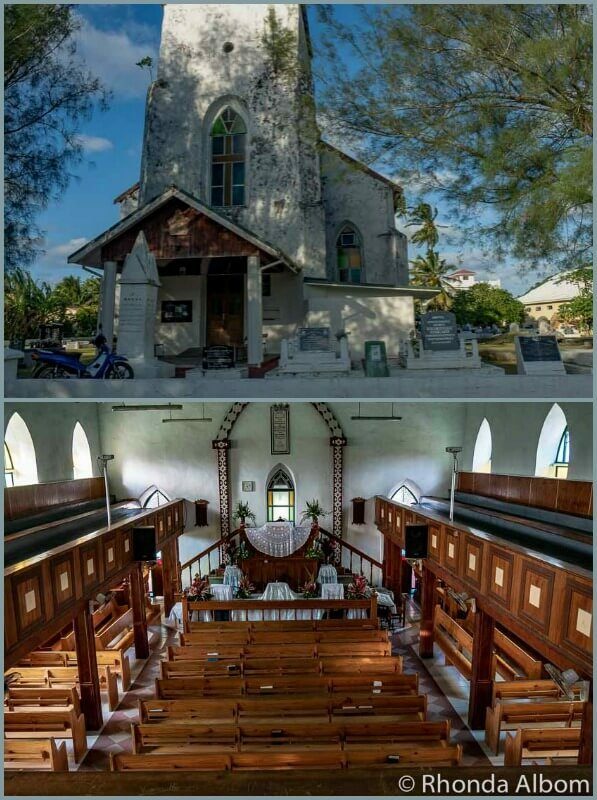 A charming church dating from 1853 and made from coral, it is open to the public. If you walk around the exterior, you can find areas where the plaster has chipped away, revealing the coral underneath. Be sure to walk around the graveyard to find the tomb of the Cook Island’s first Prime Minister. A safe, protected (by four offshore islets) swimming area and another great spot for snorkelling, Muri Beach (including Muri Lagoon) is one of the more popular resort destinations. Loaded with hotels, resorts and restaurants, everything you need is in walking distance. Unfortunately, the wind was strong and coming from the wrong direction, so we never had a chance to snorkel here. Be sure to allocate at least one Sunday, Tuesday, Wednesday, or Thursday night to experience dinner at the Muri Night Markets. Here, you will find stall after stall of island foods like chicken and rice, curries, or even rib, — and the portions we were served were huge. You will not go away hungry. Pro Tip: Go early. By 6.30, many of the stalls are running out of food, and by 7 pm, they are closing up. 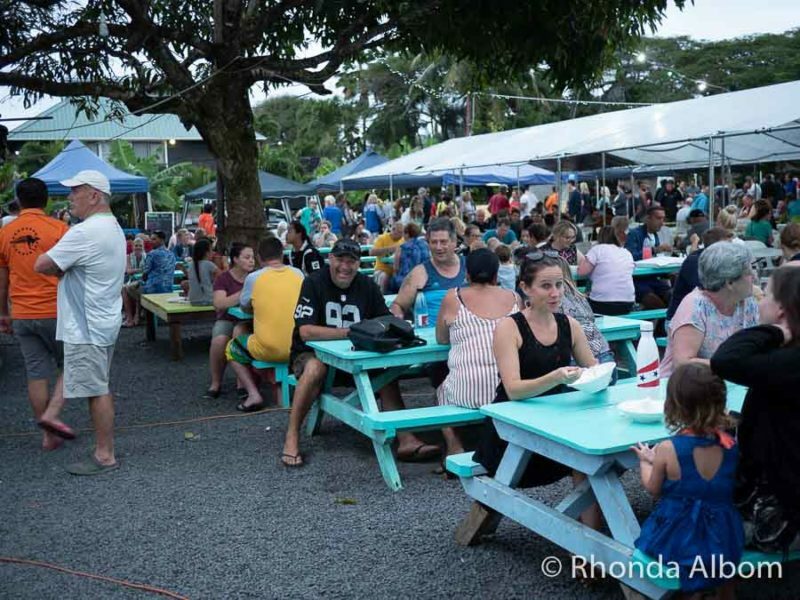 Come early and enjoy a traditional dinner at the Muri Beach Night Markets. Open on Sunday, Tuesday, Wednesday, and Thursday nights. We opted to skip this hike as I just didn’t have the energy for a strenuous, four-hour hike up and over the lush green centre of the island. The trail starts on the north coast and climbs to Te Rua Manga (The Needle), a steep, bald rock that projects straight up into the air. On portions of the climb, tree roots are climbed like ladders. 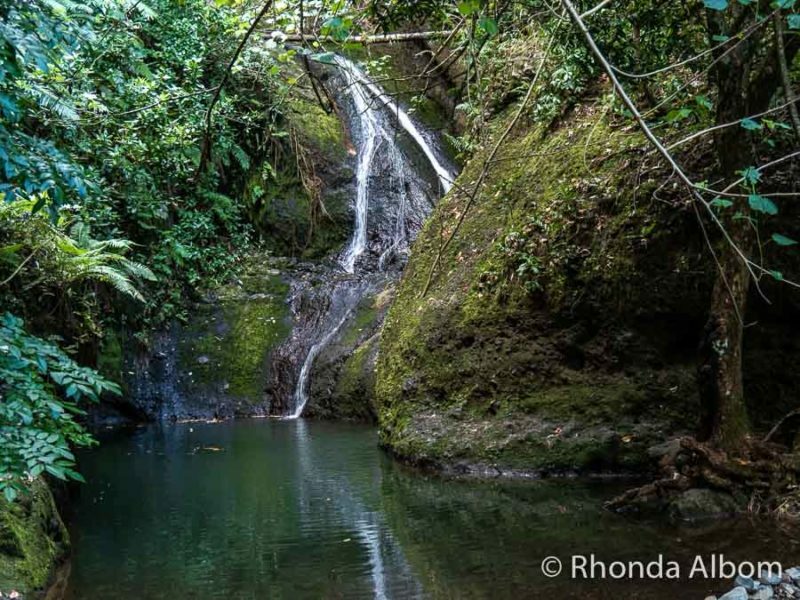 Stunning views greet you at the top before you head down the other side to Wigmore’s waterfall. Many of the people we met did the hike. Those in great shape reacted to it differently than those in average shape who called it challenging. Guides are recommended, although we met several people who did it in small groups on their own without incident. A view of the Needle from the capital. A fascinating story and bizarre ruins that would make a fabulous set for a horror film, if they weren’t cursed. This one deserves its own story. This was to be the grand main entrance, of what is now referred to as the Sheraton Hotel Derelict. While we didn’t go to Aitutaki due to the Cook Island’s weather the week we were there, we would be remiss in not including it here amongst our recommendations. Hire a scooter. While you will need a Cook Island driver’s licence to operate a scooter, they are easy to obtain from the police station. You can even pick up the scooter first. There are occasional roadblocks checking for the licence. Rent a car. By day three, this is what we opted to do, and it really made our life easier. We could use our New Zealand driver’s licence. Take the public bus. There are two buses, one runs clockwise, the other anti-clockwise. They run hourly during the day, but only the clockwise bus runs at night. Easy to do, we took the bus around the island on our first day, as we headed to the Punanga Nui Outdoor Market. Bicycle. Until you head well inland, the roads are relatively flat and easy to ride. Beluga: A charming cafe in Arorangi where I enjoyed wonderful coffee and a fabulous salad. It’s the only place we ate at that didn’t charge us for filtered tap water. Salsa Café: Another great cup of coffee alongside a huge, fresh salad. It’s known for its all-day breakfast (although it’s only open until 3 pm during the week and 2 pm on Sat). Located in the capital, Avarau, it’s a perfect place for a quick (or slow) bite. Trader Jacks Bar and Grill: The iconic place to go for fish, or just to have a drink and enjoy the sunset. La Casita Mexican Café: Exactly as the name describes, in Muri beach. It’s a less expensive alternative to eating at the resorts. Spaghetti House Pizzeria & Grill: A huge, delicious portion of pasta (or lasagne in my case). Spaghetti House is located at Edgewater Resort. Lagoon Restaurant at Moana Sands Lagoon Resort: Dinners are a culinary masterpiece beautifully presented, delicious, although a bit pricey. One of the best meals I have had on the island. Ideal for: Couples seeking quiet relaxation with beautiful ocean views in a new accommodation with large units and very comfortable beds. Not so great if: you don’t have a vehicle or if you want easy beach access. The resort’s beach is filled with coral and it is recommended that surf shoes are worn. Also, at over $400 per night, I was surprised that our shampoo and other near emptied toiletries items were not replaced. Ideal for: Families, or anyone who likes larger resorts, tons of activities, and easy access to white sandy beaches. Also, there is an adults-only Sanctuary option. Not so great for: The rooms are a bit dated but fine. However, it is where I hope to stay on my next visit to Rarotonga. Ideal for: Anyone who wants to be near crystal clear waters, wants lots of restaurant options but doesn’t want to have to go far for them. Honestly, this is an island aimed at tourism. The Rarotonga accommodations are as varied as in a major city anywhere in the world. 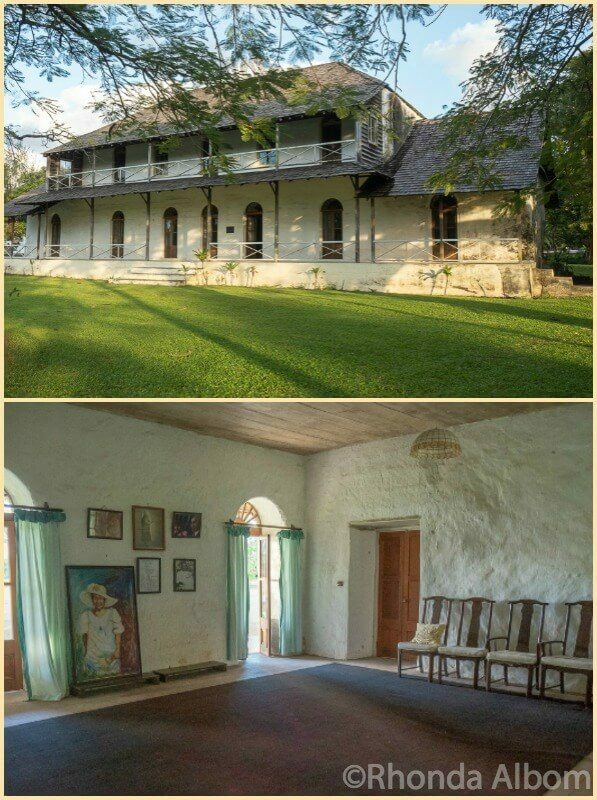 They range from secluded to popular, from hostel to luxury, and from family-friendly to adults only. There is something for everyone. Air New Zealand offers non-stop flights to Rarotonga daily from Auckland and nonstop weekly from Los Angeles. The flight from Los Angeles to Rarotonga is on Sunday night, while the return (Raro to LAX) is on Friday night. And, in case you missed it above, Air New Zealand offers Rarotonga as a stopover when flying from Los Angeles to Auckland, which means for no additional airfare you can tack on a bit of tropical paradise. You can check for flights on the Skyscanner app or we use CheapFlights to find the best deals. Rarotonga climate is tropical; it’s an island paradise in the South Pacific that can be circumnavigated in just 32 km (20 miles). The population is estimated to be between 9,000 and 12,000. Our hotel’s driver estimated that there are about 100,000 visitors annually. Tourism is the largest industry on the islands. Get a car or a scooter. Drink only filtered water, which is what you find at restaurants and hotels. Be prepared to pay for filtered tap water in restaurants (a personal pet peeve). We saw prices ranging from $1 for a glass to $4.50 for a bottle of tap water. If walking where there is coral on the beach, be sure to wear reef shoes (ours were provided by the hotel). Bring a torch (flashlight) if you plan to walk at night, as the streets are dark. If it’s too windy, go to the other side of the island. If you don’t want a vehicle, there are two busses, one runs clockwise, the other anti-clockwise around the island. You can purchase a single ride ($5), return ticket ($8), all day pass ($16), or ten-ride ticket ($30) that can be shared. Make bookings for dinner. Many of the restaurants fill up. It is not customary to tip at Rarotonga hotels or restaurants. Island exports include only noni, vanilla, black pearls, yellowfin tuna and people (according to our Storytellers Eco-Cycle tour). The indigenous people are Cook Island Māori. What will top your list of things to do in Rarotonga? A good blog of the islands that we lovce so much so that we are coming over for our 5th visit shortly. We have also visited Aitutaki and went on the Vaka which we will be doing for our 4th time, this time with our daughter,her husband and toddler in tow. It is our wedding present to them (all expenses paid) to show them why we love Raro and the people, not to mention the delicious food to be had. Hope that it will rub off on them and they return again. There are a multitude of things that we have done in our years there and it is trully heaven on earth. As always, you have a great comprehensive guide and beautiful photos to go along with it! The sunset looks absolutely gorgeous. Would love to see it in person! Rarotonga looks spectacular. I love your tip about the layover there. What a great way to enjoy a tropical island without paying an arm and a leg. It seems like I will need more than just a few hours there though, I wonder if I can get a three or four day layover? 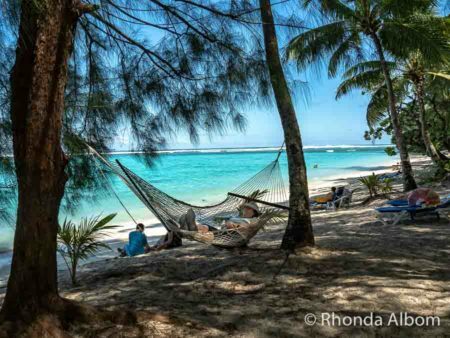 Rarotonga looks so beautiful and seems like there is just so much to do and experience. A few things really stood out for me and I would love to explore them such as Cross-Island Hike to Te Rua Manga, the Sunken Ship and watch the beautiful sunset or sunrise. The local entertainment seems fun and its great to interact the with the local community where ever one gets a chance! Appreciate the detailed guide here and thank you for adding a place on our bucket list. 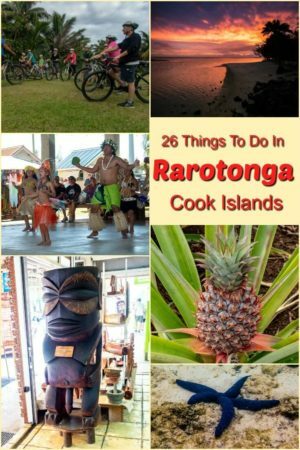 Tons of interesting stuff to do in Rarotonga. I particularly like the landscape and natural settings. The dose of culture also works well for me..what a lovely insight into local life. So interesting that for arguably the most famous of the Cook Islands, Captain James Cook never came within eyeshot of Rarotonga. Sounds like such an amazing adventure to visit and tour around the island and enjoy its beaches, water and culture. From the way you described it, taking a tour with Pa is a must!!! We don’t like places which are known just for the beaches. But this place look awesome with its various offerings along with the beach. Added to our wishlist. Wow! There is so much to do there. I love the markets, they sound really fun. I’m also on board for any kind of garden. The museums look neat too. Thanks for sharing all of these great activities. We went to Auckland last year. Didn’t have the time to see other NZ destinations. And Rarotonga is one of the most talked about! I love the bike tour. It seems like such an intimate way to see the island. I also love outrigger canoeing. When we lived in San Diego, we used to race competitively. Taking a sunset run like this would be simply incredible. I am not sure what this particular team is doing with seat 4 out of time and everybody paddling against the ama (outrigger) but they are probably practicing. You have to be perfectly in sync if everybody is paddling on the same side and not lean if you’re paddling on the right side of the canoe. 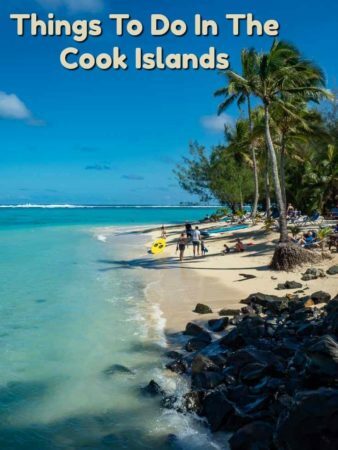 We always wanted to visit the Cook Islands but it seemed like an expensive detour. Interesting that you can use it as an layover. That is going into the trip planning vault. Love the idea of the free stopover! Great idea! Looks like there is a lot to do and although we do like a few days by a pool with a book we also have to be up and about a lot too! Cook Islands now on my radar thank you! Yes, the stopover made it a great deal for us. A new utopia indeed! I like the sound of a layover here for no additional cost! Is there a limit to how long you can stay for a “layover”? I’m not much of a resort person either! I like to get out and explore and damn near died when I went on my only trip with my father to Puerta Vallarta for a week and never left the hotel! New Zealand citizens can stay as long as they want. I would have to get out of the hotel (and resort) after only a couple of days as I’d get ‘cabin fever’. 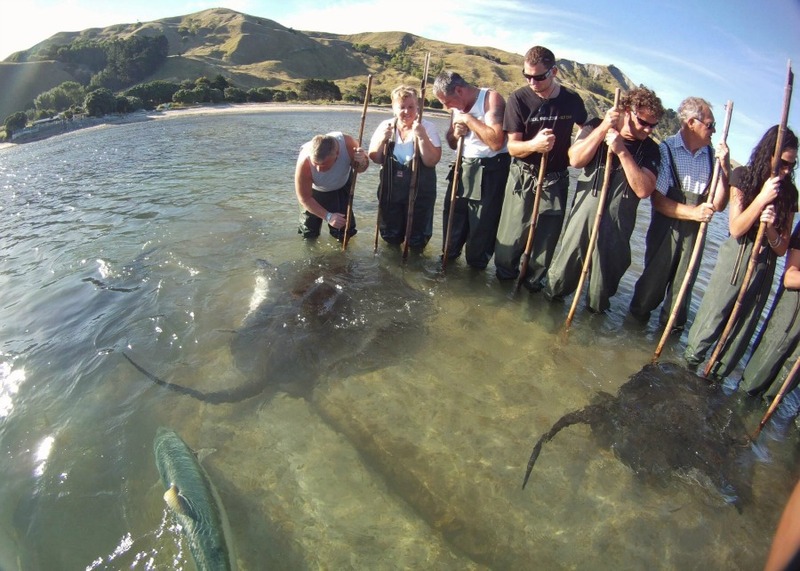 Goodness New Zealand is a place I’m dying to visit (along with Australia)!! Rarotonga is beautiful although it’s difficult for white beaches most anywhere else (save the Caribbean) to impress me since I’m from Alabama where we have very large sugar white sand beaches without rocks. However, that said, I have been really impressed with what I’ve seen from the Cook Islands and your Rarotonga photos are beautiful. Good to know that it is a stopover option too. I love Fiona’s handprinted sarongs, they are gorgeous! Also, snorkeling at Titkaveka Beach would most definitely happen along with watching the sunset and visiting the Cook Island Christian Church. Based on your photos, I think I would choose to stay in the Rarotongan Beach Resort, holy cow!! I think I would stay at the Rarotongan next time as well. Those beaches in Alabama sure sound nice. 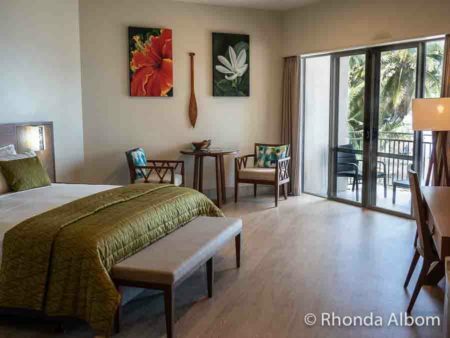 Wow Rhonda, your suite at Moana Sands Lagoon Resort in Rarotonga, Cook Islands is quite a room. I was very impressed with the entire location. It was quite amazing. See ya. The hotel had only been open for several months so the rooms and grounds were fresh and clean. Taking a bus tour around the island would be so fun to get to see so many different aspects. It looks like such a dreamy spot to travel to. The public bus allowed me to get a good look at a lot of the island. What a beautiful area! So much to do. The snorkeling looks amazing! I would also love to do some hiking and visit that market. Thanks for sharing on #TheWeeklyPostcard. The snorkelling was great. The fish did not seem to mind my presence. The fish approached closer than I expected. This would be the equivalent of stopping in Iceland travelling between the States and Europe? I have not been further than Hong Kong but at some stage would love to travel to Australia and New Zealand. Thanks for the heads up for the tropical island we can throw in for free. Great post, well written and photographed! I can see that. The free stopover in an interesting place is a real bonus. Wow, there’s so much to do. I like the idea of climbing the tree root ladders! Although, as it’s absolutely pouring with rain here in England today I would love to just head straight to the beach! The cross-island trek is a challenge according to other people I have talked to. Absolutely love the idea of a bike tour! It was a highlight of our time in Rarotonga. I didn’t know it was a free stopover as I wanted to break up my long-haul to the US. The lower price of the stopover fare was an added bonus. Oh, I think I’d like all of the activities you’re describing. I am putting Rarotonga on my list, it looks mesmerizing! I had a lot of fun. Next time, I may take a side trip to Aitutaki. I can totally relate. I am also not so fond of the resort life. I refer a lot of greens or a trip to the mountains or woods. Basking in the sun is not really my thing. Perhaps it is because I am from a tropical country. Anyway, I am glad you found other things to do in Rarotonga and enjoyed your trip. I am not a “sit at the beach” sort of person because I like to go out to explore and learn about the places I visit. I’ve never heard of Rarotonga before. This is such a fun list of things to do! 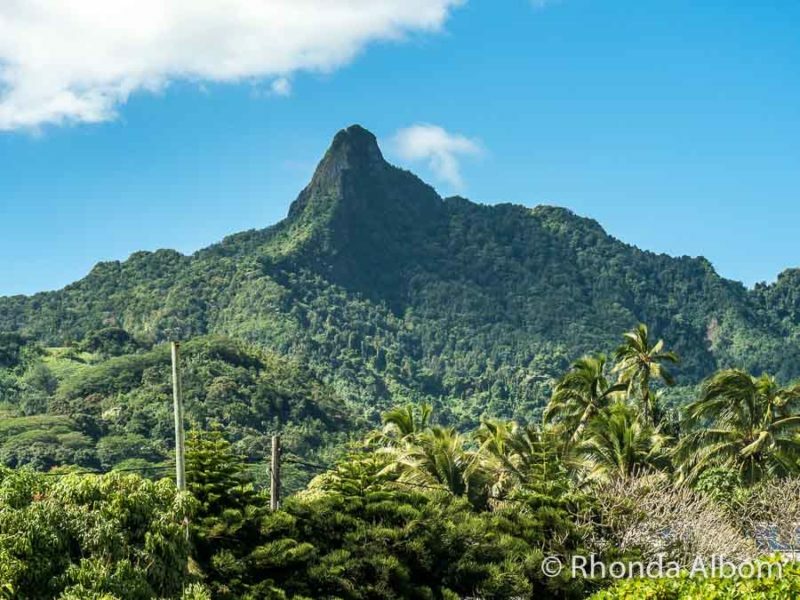 There are plenty of interesting things to do in Rarotonga. Wow, what a beautiful place. Great shots. I’ve not even heard of this place until this post. It’s a bit unknown in the USA but not too far to get to with Air New Zealand direct flights from LAX. I would love to take the tour with Pa. He is a very interesting person. Pa sounds awesome. Healers usually are found in places like these; well away from the world and its obsession with healing stuff outside-in through Western medicine. The bike tour is about the most fun thing to do in these rural, remote areas. Gives you an idea of how locals live. Eye-popping islands Rhonda. I fell in love with the South Pacific after a Savusavu trip 4 years ago. Rarotonga is small but lovely. The people are genuine and I found that they are not jaded by the growth of tourism. Ready for the story about the cursed hotel! Definitely do some hiking and that bike tour sounds fascinating. Plus the museum. The hotel was quite creepy. 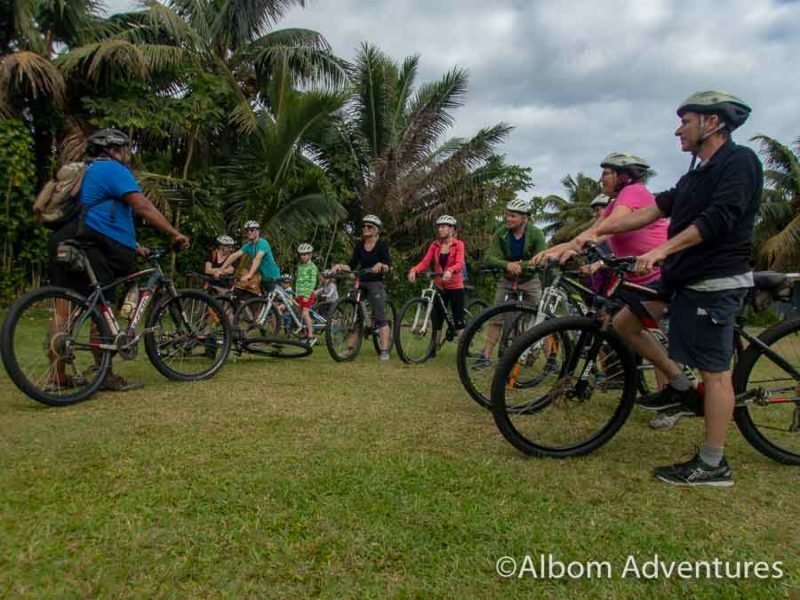 The bike tour was one of my highlights while in Rarotonga. First of all, the photos.. AH-mazing! I LOVE the sunset pic. Second, don’t laugh at me but I have never even heard of this place. It’s such a beautiful getaway. Honestly, thank you for sharing this, Rhonda. I love learning and this post was so informative. 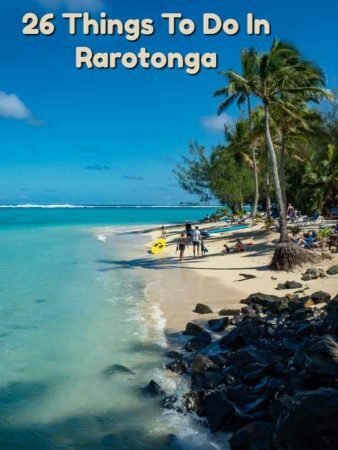 You should work the PR for Rarotonga! The sunsets are amazing in Rarotonga. It is an idyllic setting. Rarotonga is so beautiful view and really beautiful photography. I haven’t heard of Rarotonga before, I just added that to a list of places I need to go see. It is a beautiful island. I made good use of my camera there.